Have you ever watched a YouTube video where a young child imitates the behavior of an adult? What they are doing is called pretend play. It’s not only super cute but pretend play is also an important part of their development! Engaging in pretend play is actually great for a toddler’s physical, intellectual, emotional and social development. It involves imagination, make-believe, acting and creativity. Pretend play is even more fun when you have the right kind of toys. Here are some pretend play milestones to keep in mind when figuring out what toy to buy for your child. Whether you realize it or not, since birth, your baby has been watching you very closely. Some of us lucky parents have been blessed enough to witness them mimicking our facial expressions, sticking their tongue out back at us when we do it and laughing along with us when we laugh. During this early period of development, you don’t have to worry too much if your baby is not engaging in a lot of pretend play but at the very least, try to make eye contact with your baby regularly and see if he or she reciprocates your eye contact. By age one, some toddlers start engaging in more advanced pretend play. Whether it’s talking on the phone, tapping away on a computer keyboard or feeding a doll a bottle, your toddler will start to copy some of your daily behaviors. This can catch parents by surprise as they see their toddler following adult behaviors but in a cute, innocent way. It’s time to start modeling the kind of behavior that you want your toddler to demonstrate themselves. Provide toys that resemble real-life objects such as mini-laptops, telephones and even, tiny plastic cutlery and your toddler will have a blast! Your child’s imagination continues to expand and he or she may even start to engage in symbolic pretend play such as pretending that your cupboard is a cave or that the house pet dog is a scary monster. Your toddler may start getting so engrossed in their pretend play that they sometimes find it hard to separate the line between fantasy and reality. Hold back from too scary pretend play sessions or you might find your toddler in tears! Toys that enable them to use their creativity and imagination such as blocks and LEGOs are a good choice. At this age, your child’s vocabulary continues to increase and he or she may even talk to an imaginary friend. Your child may find a lot of fun engaging in group pretend play such as holding a teddy bear tea party with other toddlers, getting toy bulldozers to fight with each other and devising epic war battles with toy soldiers. Your child may also base their pretend play on real-life experiences such as pretending that they are grocery shopping at home after you have been to the grocery store. Simple everyday items such as a cardboard box or plastic container can be extremely fun for pretend play. A 4-year-old’s imagination will become increasingly complex and detailed. They may include a lot of dialogue in their pretend plays as their language skills grow. You can help develop their pretend play by providing lots of props and materials that encourage creativity and play. At this age, they will be able to separate between fantasy and reality more and more. Your kindergartener will have a longer attention span that allows him or her to stick with extended pretend play for longer periods of time. He or she may even show interest in participating in school plays! Your kindergartner will be mature enough to play proper characters and may love dressing up in costumes that fit a particular favorite character. Pretend play is most likely going to be very social-oriented and around other kids. Don’t be too concerned if your child is not automatically hitting these milestones immediately. It is very common for children to have different development phases but if your child is severely behind, then consider bringing your concerns up with your pediatrician. One downside of pretend play is that children can copy bad behavior just as well as they can copy good behavior. So although we realize that it’s easier said than done, try to model the kind of behavior that you want your child to adopt. It’s also a good idea to supervise pretend play or at least do an occasional check on older children to make sure that the pretend play hasn’t gone too far. You might have heard of stories of children jumping off roofs because they believed that they could fly! These are our top recommendation of pretend play toys for the different stages of a child’s development. Being a child of the 21st century, your baby would probably have seen you working on a computer or a laptop and wanted a piece of the action. We remember when our little one insisted on sitting on our lap when we were working on the computer so that he could type on the keyboard just like we did. The only problem with such a situation like this, of course, is that you can’t get any actual work done. Or you end up losing a significant part of your work on the laptop if your baby’s finger accidentally landed on the “Delete” button! One solution to this could be to provide your child with his or her own mini laptop that is also educational as well as interesting. 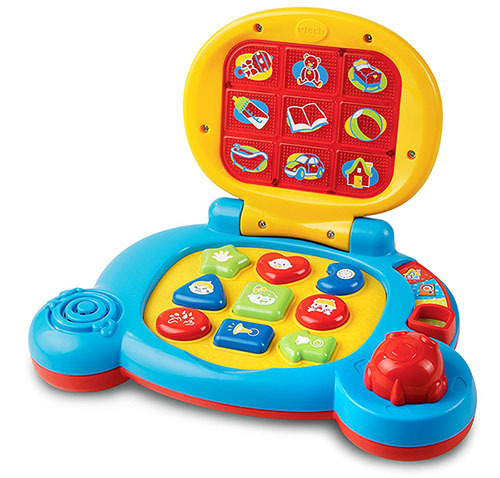 The VTech Baby’s Laptop has the similar lift-cover characteristic of a laptop. This laptop has 9 shaped-keyboard keys and a light-up screen. It also comes with a mouse for better authenticity. It teaches shapes, feelings and plays music. If you love watching TV, chances are, your baby will have shown interest in your remote control if he or she hasn’t fought you for it already. This pretend remote control will hopefully be a good distraction for your baby so that he or she will leave your real TV remote control alone! It is shaped like a regular remote control and has lots of buttons for your child to press. 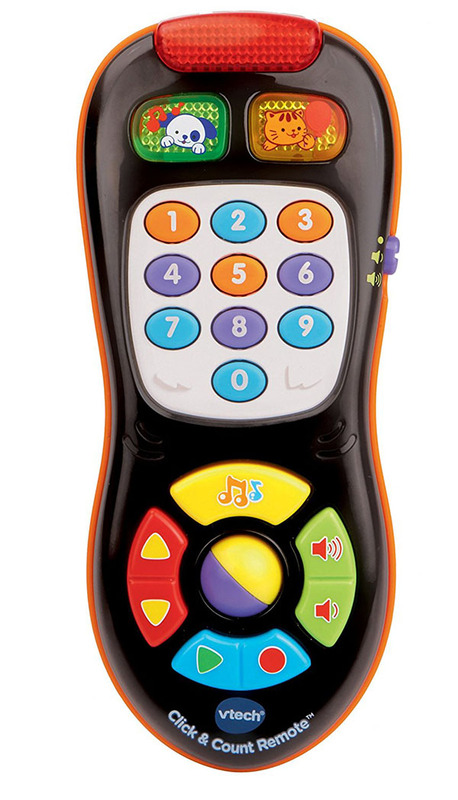 Designed to be more engaging than an actual remote control, this Count Remote plays songs, words and sounds. It also introduces shapes and numbers. The volume is adjustable as well, which is a bonus. If you are willing to pay a little bit more, you may want to invest in this Playset. 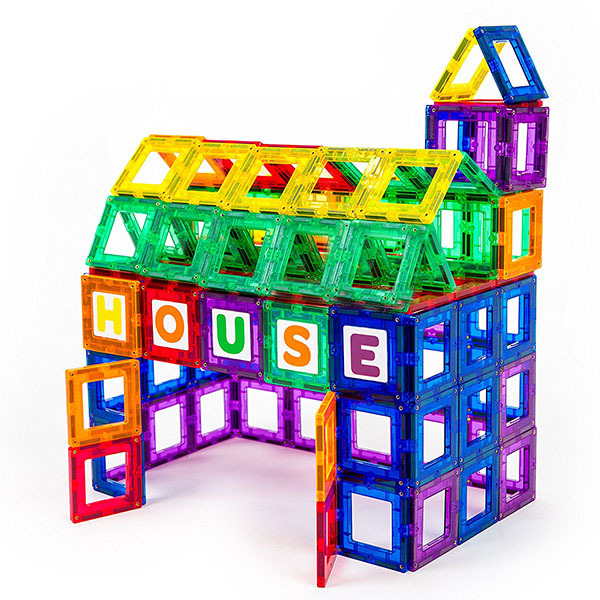 It’s a fantastic toy for pretend play as it not only looks like a mini house but it has a shape-sorter mailbox, telephone, mirror, xylophone, telescope, flower pot, window shutters, door, mini slide and mini archway. 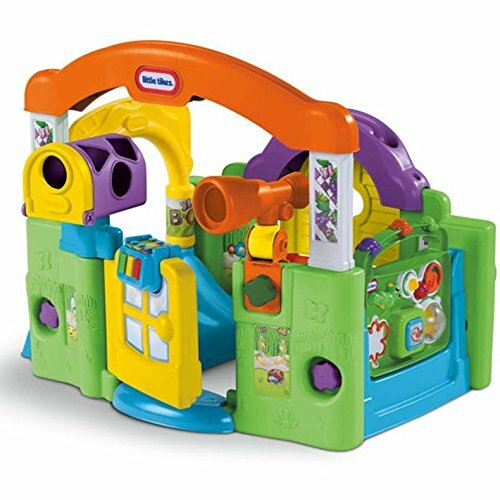 On top of the varied pretend play opportunities with this playset, this playset also is great for building fine motor skills (has a bead tumbler, spinner, gears and buttons that play music when pressed) and gross motor skills (this set is great for crawling babies or babies who are still learning to walk). Perfect for a young baby who is ready to play house. This toy/walker is an amazing, versatile toy for pretend play. It looks really attractive as a shopping cart and is a magnet for toddlers who want to push it or explore it. 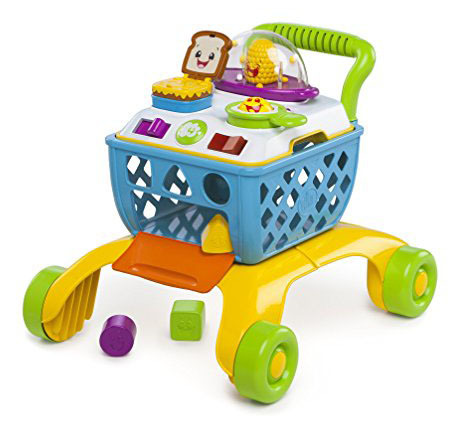 This is great for children who are still learning to walk and your child will probably spend a lot of time pushing it around, pretending to shop. This walker has a removable cooktop that comes with a sandwich, popcorn and egg roller. On top of this, the shopping cart can be fixed in place to act as an activity table too. There are shapes that your child can sort into holes and buttons that can be pressed to play music. This is such a fun, award-winning toy for pretend baking. 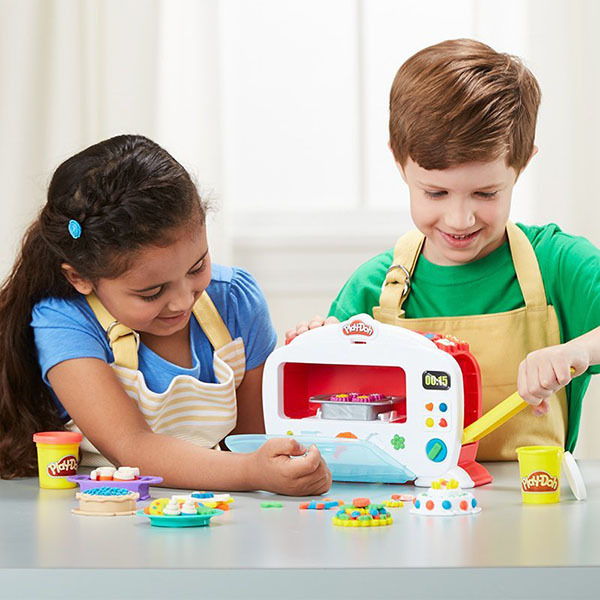 It is a Play-Doh oven that comes with 6 cans of different colored Play-Doh. The oven has a lever that can be pressed that makes the “baking” rise in the oven with a corresponding red light and “ding” sound that signals that the baking is completed. There are also 3 cutters, a roller, a knife, a fork, a spoon and a plate so that your child can serve up and “eat” the baking. This also comes with instructions and a creation card to guide your child on how to make some yummy-looking creations. Your toddler can bake to his or her heart’s content and is only limited by his or her imagination. If you have a toddler who loves making loud drumming noises and dancing to catchy beats, this will be a perfect pretend play toy. It looks like a mini drum set that comes with its own set of drumsticks. 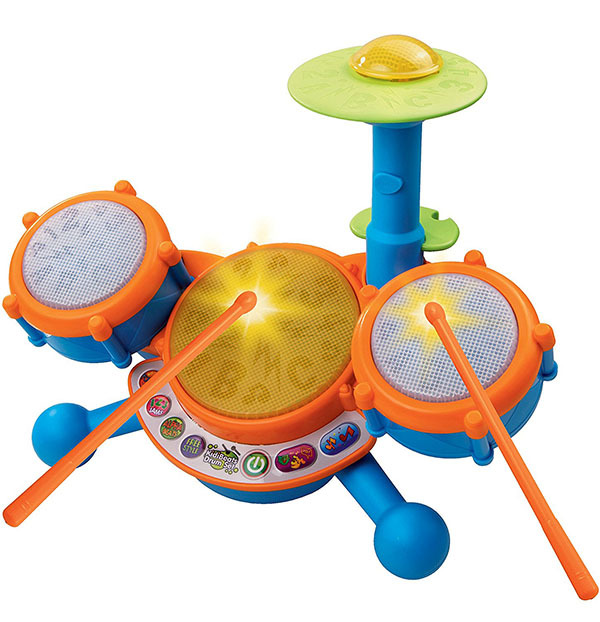 This toy has 3 drum pads and cymbal and can play 9 melodies including dance, pop and rock. On top of music, this toy also teaches letters and numbers. There is also a flashing LED light to catch your toddler’s attention. This workbench toy is for wannabe home improvement experts. 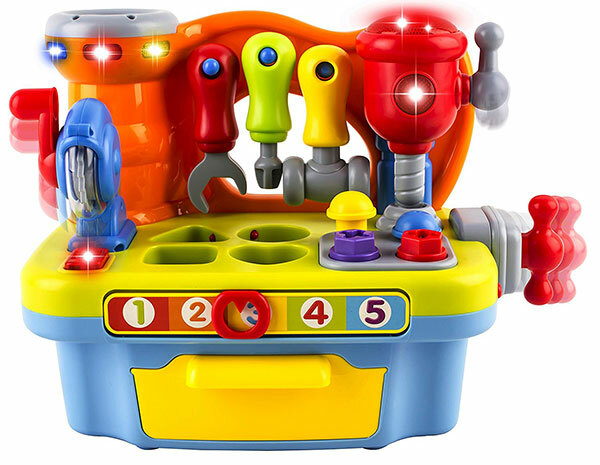 It comes with an electric drill, screwdriver, chainsaw, bench clamp, wrench and hammer so that your toddler can really pretend to be a fix-it expert. Your toddler can also increase his or her fine motor skills by sorting the shapes that come with this toy into their holes and hammer a ball into the game tube. This toy can play music and sound effects while your toddler is busy at work fixing stuff. C’mon, we all know that our toddlers would love to have a smartphone of their own. And who can blame them? We ourselves are on our smartphones all the time, aren’t we? 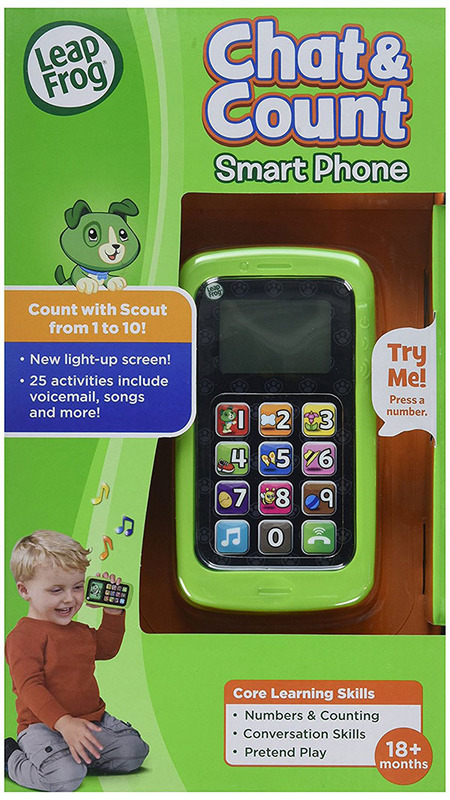 This toy may not completely keep your child away from your own smartphone but at least, it’s worth having an alternative for your child. If you or your toddler is fascinated with cars, you will both love this Push Car. It looks like a Mercedes with a working steering wheel, dashboard, padded leather seat, front and tail lights, MP3 player and even music buttons for your toddler to press! 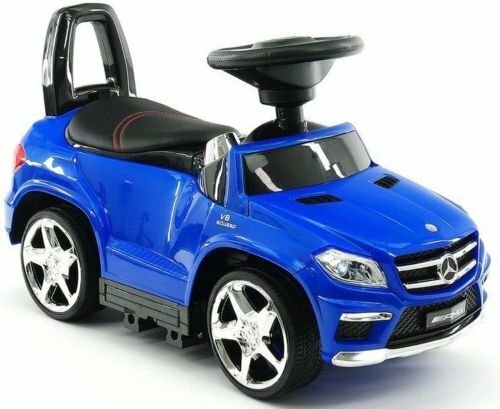 This pretend Mercedes can be used independently by your toddler or for younger children, it can be pushed by an adult or fixed in place as a rocking car. It comes with a backrest that has a removable handle, retractable footrest support and removable armrests. Do you have a toddler with a love for knights, castles, dragons, kings, queens and princesses? If yes, this is the perfect tent for pretend play. It is shaped like a castle with a turret and even has windows with a mesh flap to keep away bugs. 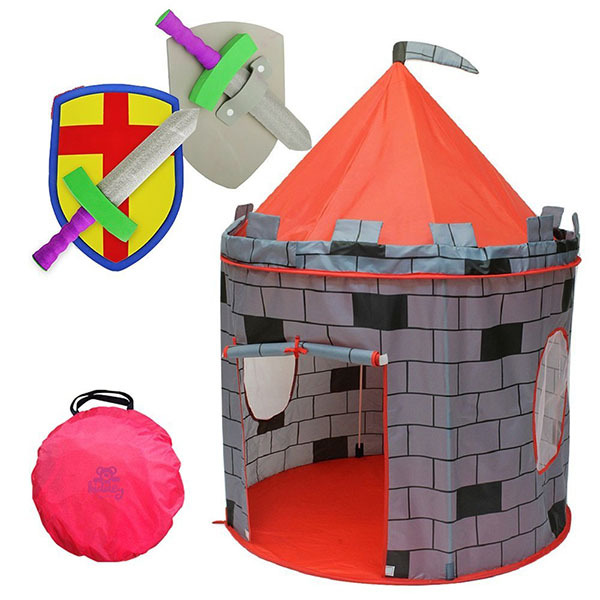 This toy comes with a sword and shields too which makes this even more fun for pretend play. Great for play dates and pretend play times with friends. LEGO bricks have always been great for pretend play. You can build almost anything with LEGO, as long as you have a wide variety of bricks, sufficient amounts of it and an active imagination. We recommend this LEGO set because it is safe for toddlers to play with (larger-sized bricks) and it is a basic, versatile set that can easily be used to build a wide range of things. Once your toddler is ready for more complicated structures, you can add other LEGO DUPLO sets to this set. Who can resist pretend play food? Not only can it be great fun to pretend eat or cook but pretend food is always a good way to introduce food options to children. 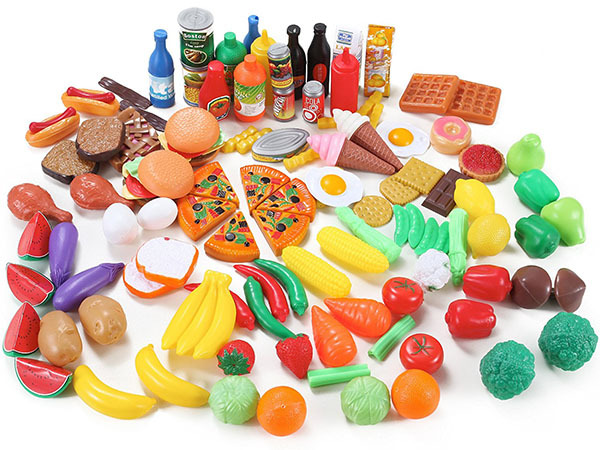 There are many different brands that create play food but we like this set because it has a wide variety of vegetables and fruits, unlike some other options that seem to have mainly processed food! This set includes foods like eggplants, red peppers, bananas and watermelons, along with pizza, waffles and ice cream. There are also beverages like milk, orange juice and coffee. Enough food for a hungry child for breakfast, lunch and dinner! LEGO alone used to dominate the pretend-building-play industry but magnetic tiles have received rave reviews from parents and children alike. Magnetic tiles tend to require more refined fine motor skills such as stacking and balancing skills as they are only held together by tiny invisible magnets inside the tiles. However, because these pieces are magnetized on all sides, they are more versatile for building purposes. They can be turned upside down or even angled to create amazing creations such roofs and cars. This set comes with removable middle clickins that are placed in the middle of each hollow magnetic piece. You can build with or without these clickins and this provides additional building possibilities. In addition, some of these clickins have numbers and alphabets printed on them so that you can use them as a teaching tool or as a fun way to spell words. Has your child ever dreamed of being a fireman with the characteristic red hat and jacket? Whether yes or no, this costume is so cute that we had to mention it. 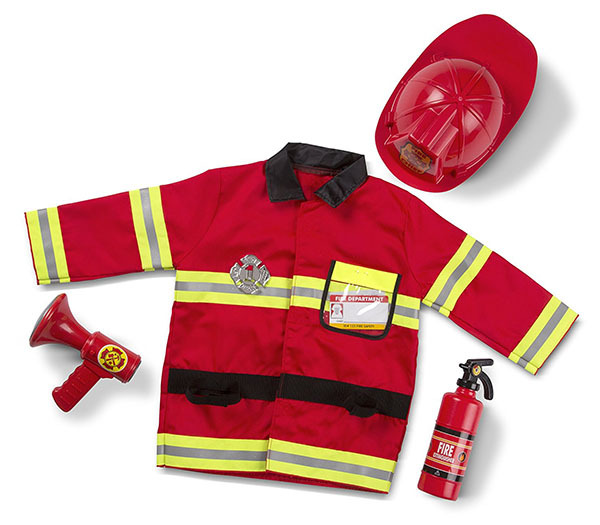 It comes with a fireman’s jacket, helmet, name tag and badge so that your child can really look the part. Best of all, it comes with a fire extinguisher and bullhorn as well. Has your child ever expressed interest in helping you cook but you said No because you were worried about him or her hurting themselves? Maybe the solution to your problem would be a mini pretend kitchen. This set is so similar to a real kitchen that it really is exceptional. It comes with a fridge, microwave, dishwasher, oven, stovetop and freezer. All the doors open and close and even the knobs turn! There is also a countertop with a basin and tap for your child to do food prep and a paper towel holder. There is a chalkboard on the freezer so that your child can write down grocery lists and a cordless telephone for making calls. And if your child runs out of storage space for food supplies, there is a convenient shelf at the top. This pretend kitchen is big enough so that you could have several children playing with it. 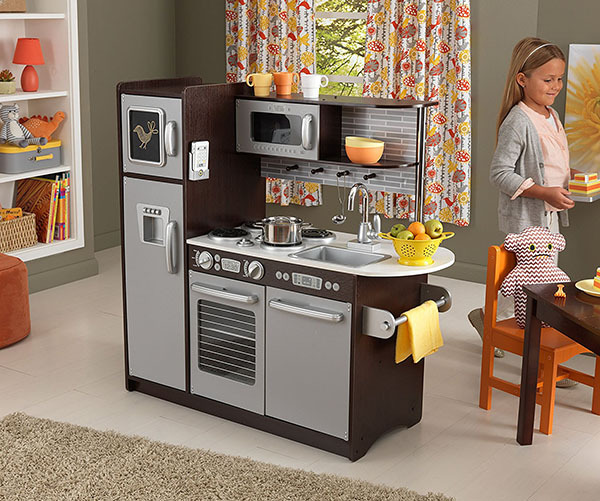 You can expect some fun pretend play times for your child with this mini kitchen! 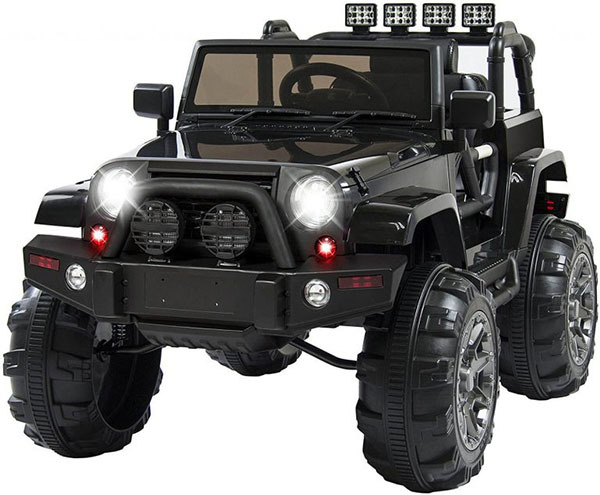 This mini 4 wheel drive/jeep is probably the toy that you wished you had when you were a child. Not only does it look super cool and very lifelike like a real 4 wheel drive car, it also moves like a real vehicle. There are traction wheels, a suspension system, gear shift and LED lights. Your child can drive it using a foot pedal and steering wheel. It moves at 3 speed options; high, medium and low. You can also control how this pretend 4 wheel drive moves using a remote control as well. It does come with an adjustable seatbelt for safety. It also plays sing-along tunes, radio music or your own preferred choice of music (once you connect your device through the AUX cord) so that your child can listen to music while driving. You may have one of those kids who dream of being an astronaut. 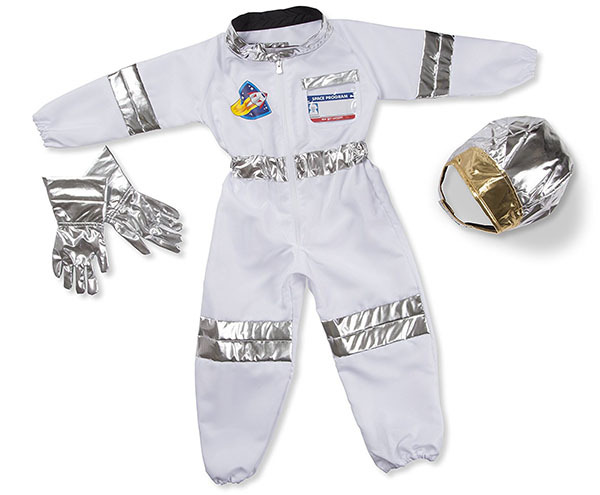 This is a fantastic costume that comes with an astronaut jumpsuit, gloves, helmet and nametag. What a fantastic pretend play gift for any aspiring young astronaut! If you do lots of farm, tractor or outdoor work and you have an eager child imitator, you will love this Tractor with Trailer. It is painted in the well-known John Deere colors of green and yellow and actually drives powerfully as well. This tractor has 2 speeds and reverses as well. 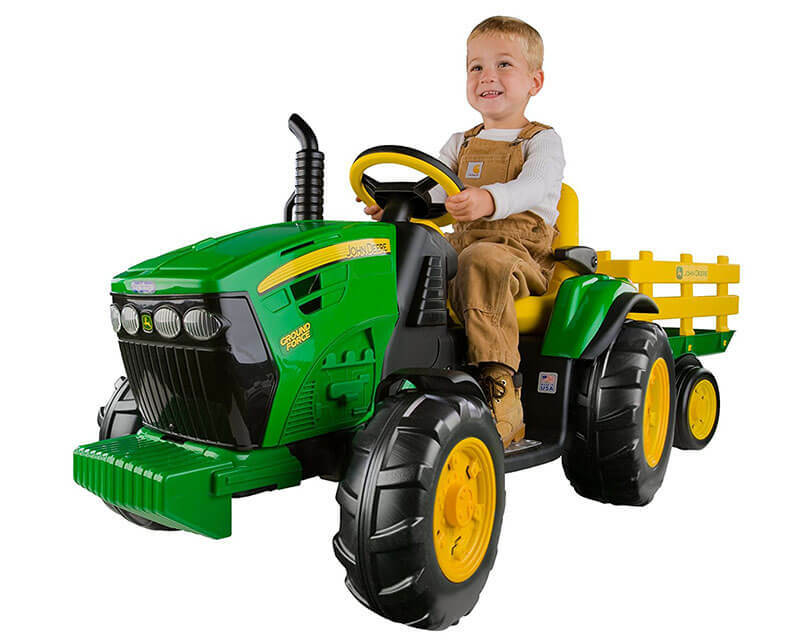 This tractor can travel on grass, gravel, pavement and dirt so that your child can ride on real farm terrain. Best of all, this tractor comes with a trailer so that your child can actually carry actual stuff and help you out. Great pretend play toy if you are a John Deere fan! There are many other pretend play toy possibilities but the ones above are our favorite. We hope your child has as much fun ‘pretending’ as our children do.